Guests are welcome to bring outside food to Fresno Chaffee Zoo. For the safety of guests and animals, please leave glass, aluminum cans, straws or alcohol at home. Although no large ice chests are allowed, personal coolers are acceptable. For guests who would like to purchase food at the Zoo, there are two dining options available. 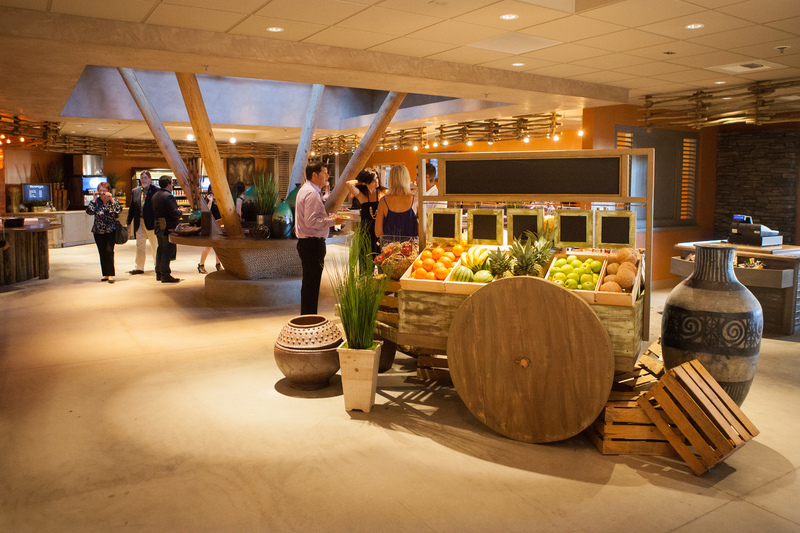 Fresno Chaffee Zoo’s newest dining option, Kopje Lodge, is centered in the brand new exhibit, African Adventure! With breathtaking views of the African Savannah, guests can enjoy gourmet entrees such as artisan sandwiches, oven-roasted pizza, fresh salads and more – all while viewing African elephants, rhinos, wildebeest and other African species! The Kopje Lodge also features beer and wine. If you have the chance to visit the Fresno Chaffee Zoo first thing in the morning, there is also a gourmet coffee station available at the Kopje Lodge which features fresh baked scones, espresso and coffee! 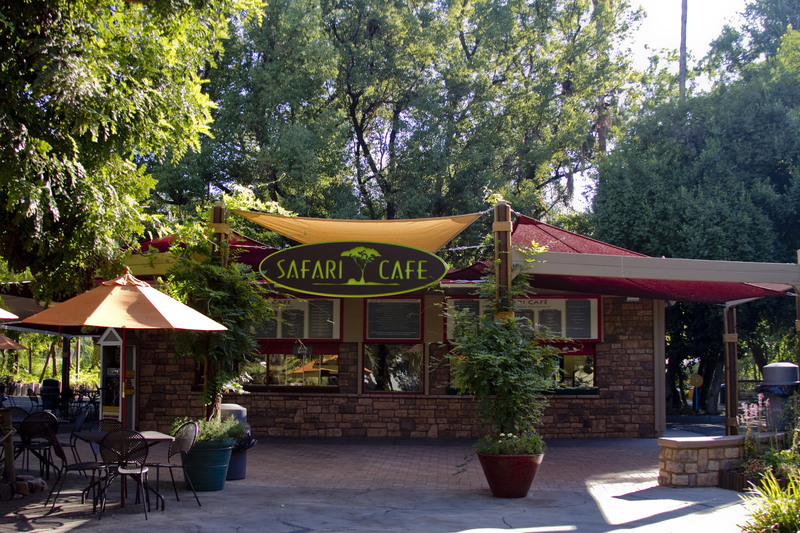 Fresno Chaffee Zoo’s original dining option, Safari Café, is a classic Zoo staple! 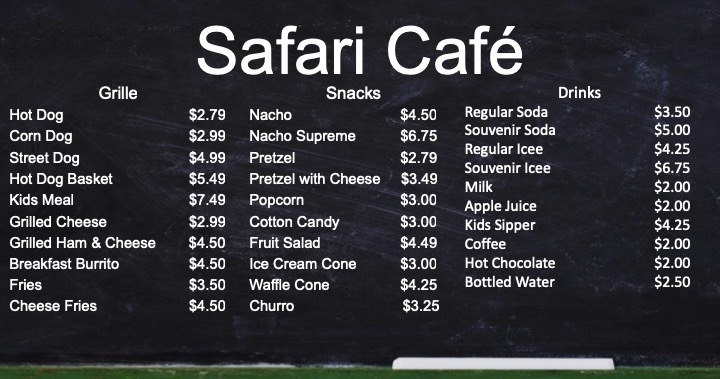 At the Safari Café, guests can enjoy fresh cooked breakfast burritos and other classic hits such as grilled cheese, French fries, corn dogs, and even ice cream for those hot summer days!